So we’re a day late on the contest, but you will live, right? 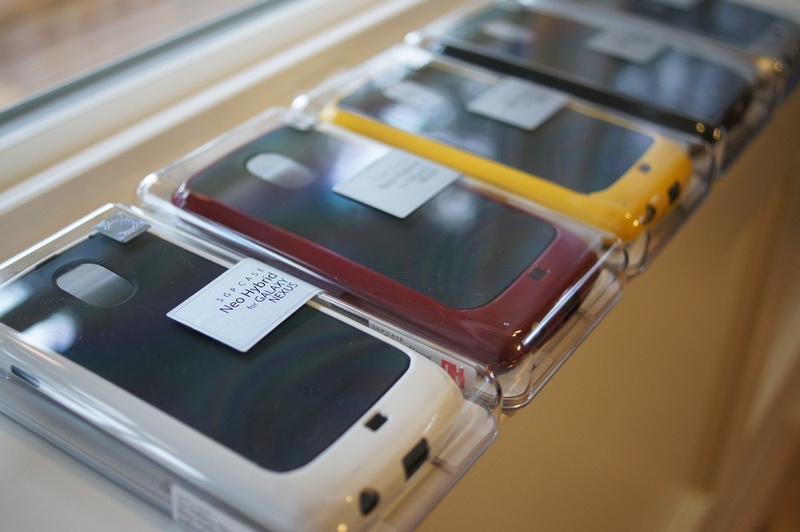 Since we are handing out 5 (five) of Spigen’s Neo Hybrid Galaxy Nexus cases in the next two hours, I figured you’d forgive us. The Neo Hybrid is the two part case (1 part silicone, 1 part polycarbonate) from Spigen that gives you the ultimate fit with a touch of protection on your Nexus without adding a ton of bulk. The two-tone color snazzes it up a bit too, in case you were looking for some added flair. You can read our full review of the case here. We have all 5 of the colorways to give away: white, red, yellow, black and silver. The silver one is the case I reviewed, but I promise it is still in excellent condition and may be the hottest of them all. Ready? Check your message inbox. Thanks to everyone who entered. 2. At 12PM Pacific, we will choose our 5 winners and DM them on Twitter. 3. The first winner gets to choose a color first, the 2nd winner gets to pick from what’s left and so on. Good luck! And stay tuned, we have 5 more cases to give away later this afternoon. And be sure to head over to the Spigen website to check out all of their Nexus products.